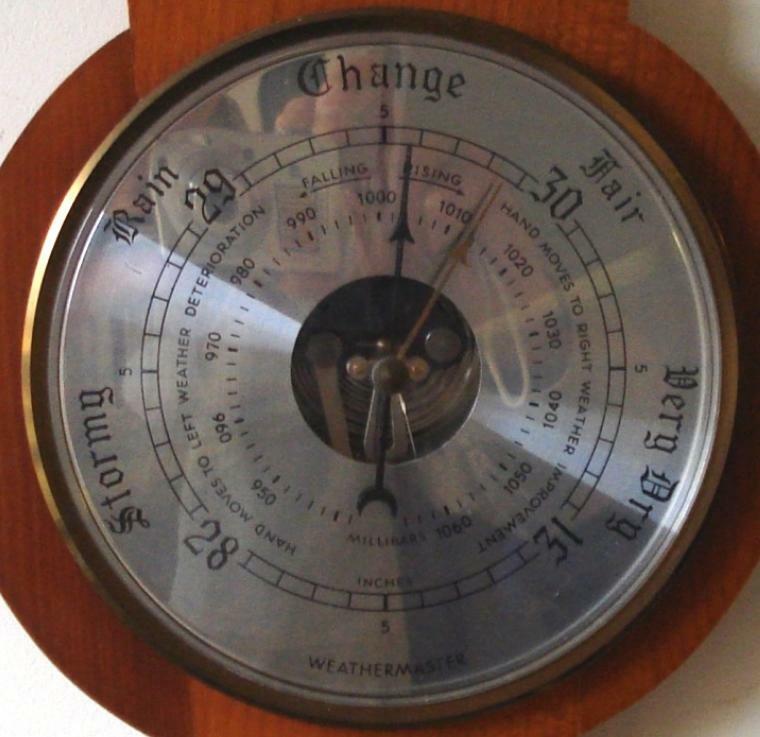 Stock Number: BARO011 - Weathermaster Visible Action Aneroid Barometer - £60. 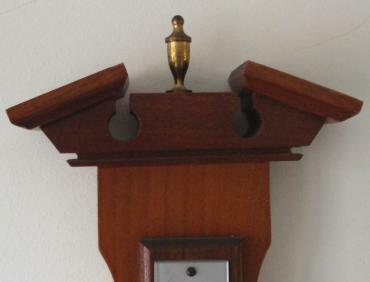 Modern Weathermaster aneroid barometer in a wood veneer case with brass finial. Circular gilt brass bezel over a silvered dial with black painted dual pressure index and a visible action. Separate alcohol Centigrade and Fahrenheit thermometer. Dimensions: - Height 26.5", width 7.5", depth 2.5".